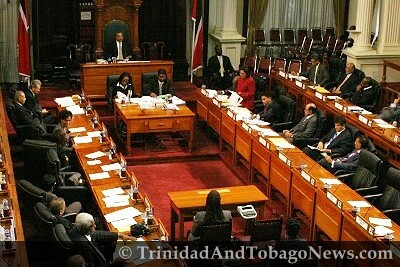 Published on March 8, 2012 in General T&T, Media, Opposition Party, Parliament, People's Partnership, PNM and Politics. 6 Comments Tags: Kamla Persad-Bissessar, Keith Rowley, Politics, T&T Govt, Winford James. In the end, as in the beginning, Keith Rowley’s motion of no confidence in the Prime Minister was a sideshow. It failed as it was bound to. It unified the executive and brought out their full armoury. It unified the Opposition and brought out some kind of offence. It won Dr Rowley a small political advantage and probably much more embarrassment. It gave the executive a golden opportunity to keep in the public consciousness the PNM’s “corruption, waste and inefficiency”. It unleashed, one more time, the executive’s politics of excess.